You won’t miss the meat in this spaghetti! 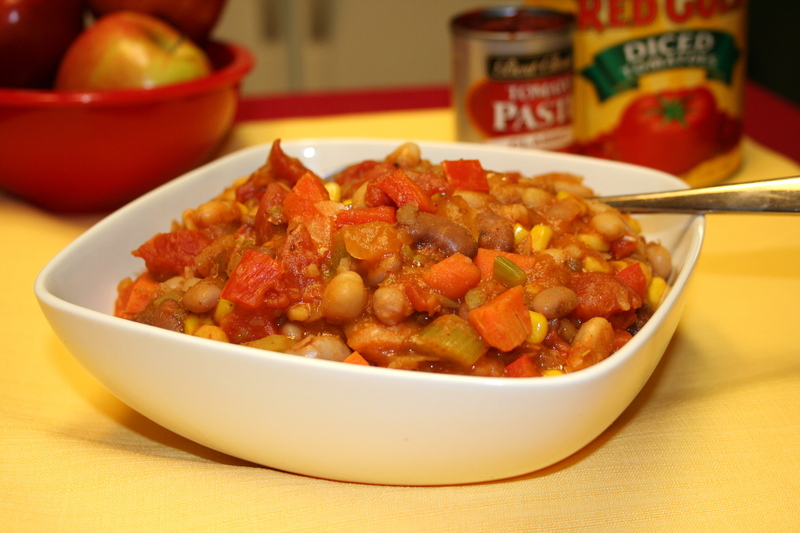 This recipe is so easy to make AND it is hearty and delicious! But back to the spaghetti! Pre-cook lentils according to package directions and set aside. Chop carrots, bell peppers, mushrooms and put them in a large pot with the sauce. Add oregano and red pepper flakes to taste–cook on medium until veggies are cooked. 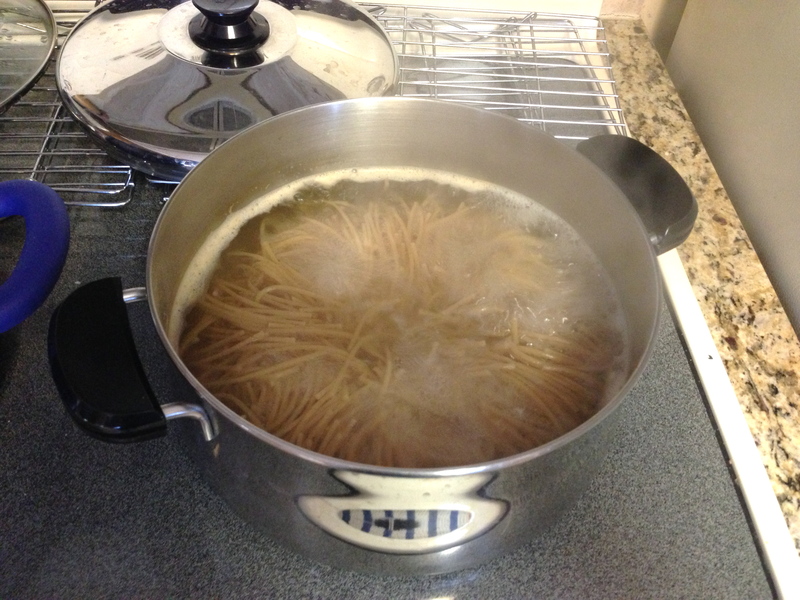 Boil the pasta in a separate pot. You’ll know it’s ready when you throw a piece against the wall and it sticks! Or you can taste it. 🙂 Drain and rinse the pasta. 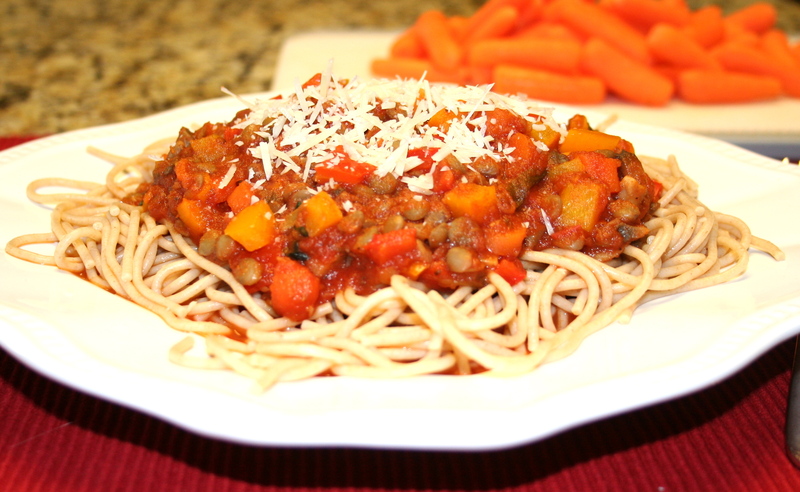 Once the veggies have cooked down, add the lentils and fresh basil. 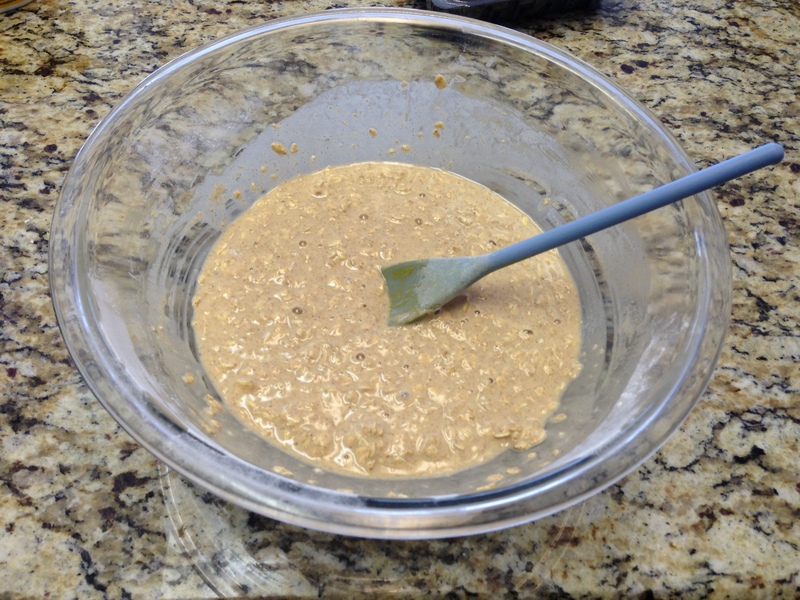 Mix together until lentils are heated through. 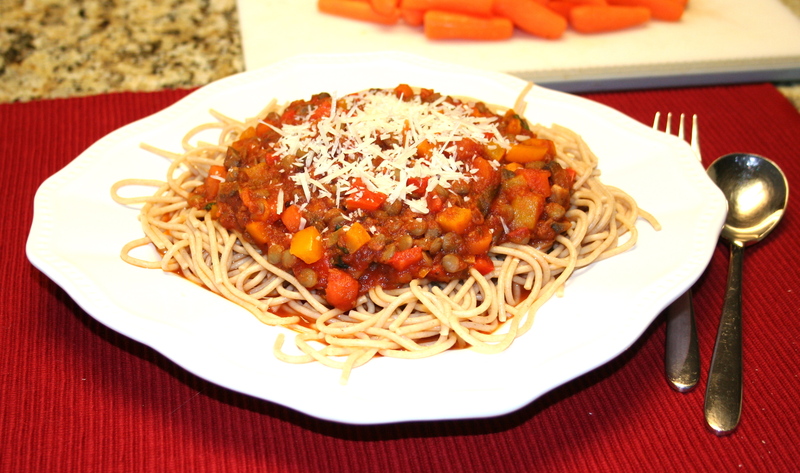 Serve sauce over the spaghetti and top with parmesan cheese if you wish. It is also excellent without it. 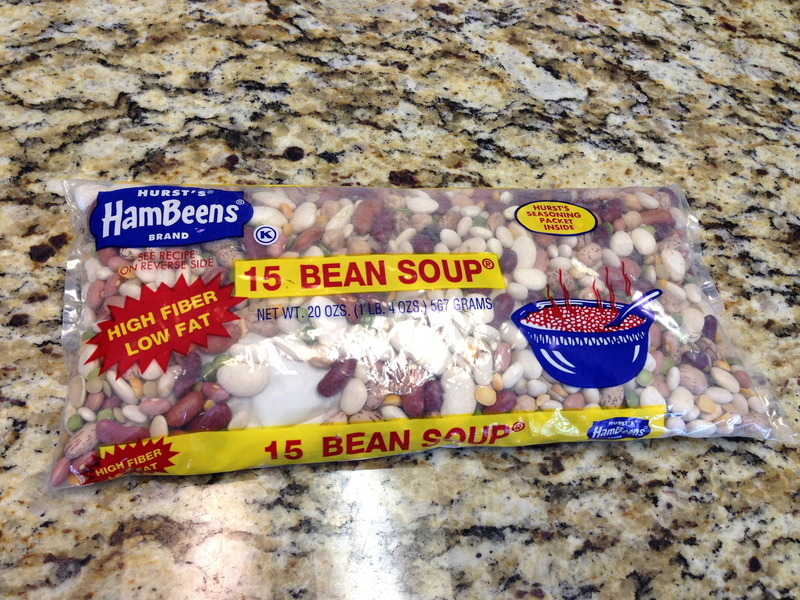 So at the grocery store recently I came across this package of 15 bean soup mix. It was such a great looking mix of beans that I knew I had to make something with it. The mix includes the following types of beans; Northern, Pinto, Large Lima, Blackeye, Garbanzo, Baby Lima, Green Split, Kidney, Cranberry, Small White, Pink, Small Red, Yellow Split, Lentil, Navy, White Kidney, Black Bean.For whatever reason I wasn’t inspired to make soup with it, but ended up creating a new chili recipe out of it. 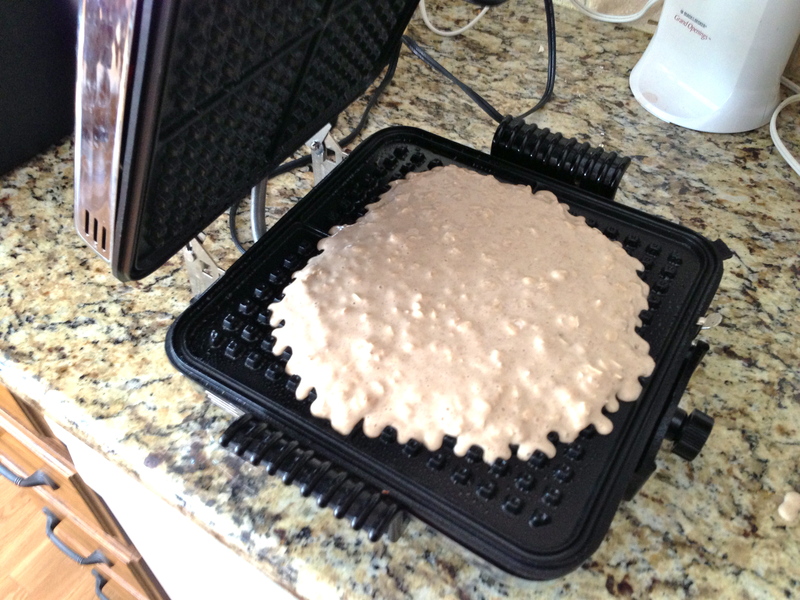 So here is my invention. 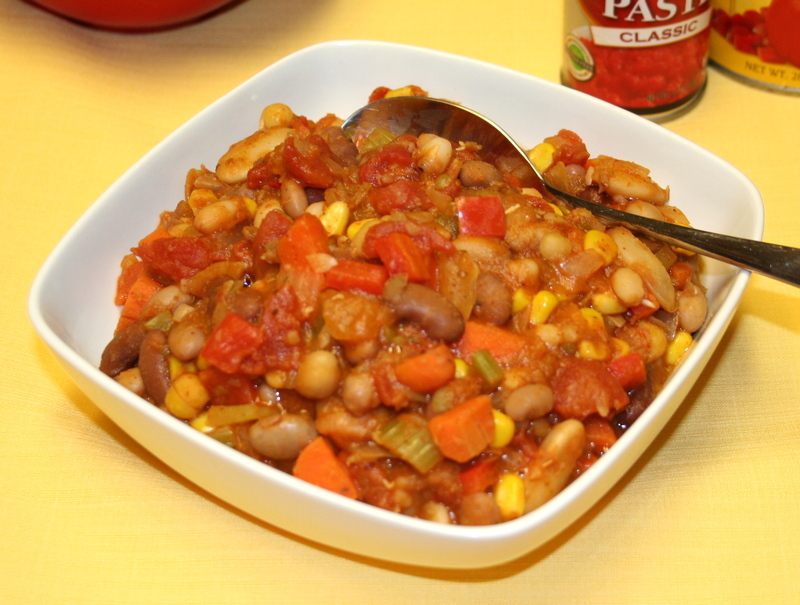 This chili is hearty and flavorful. 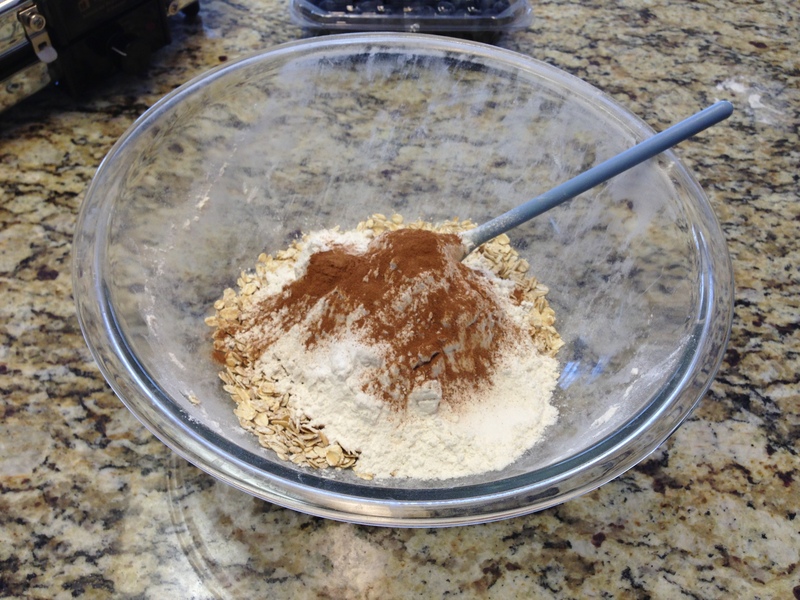 The more cayenne you add the more kick it will have. It would probably also be good with a few red pepper flakes. 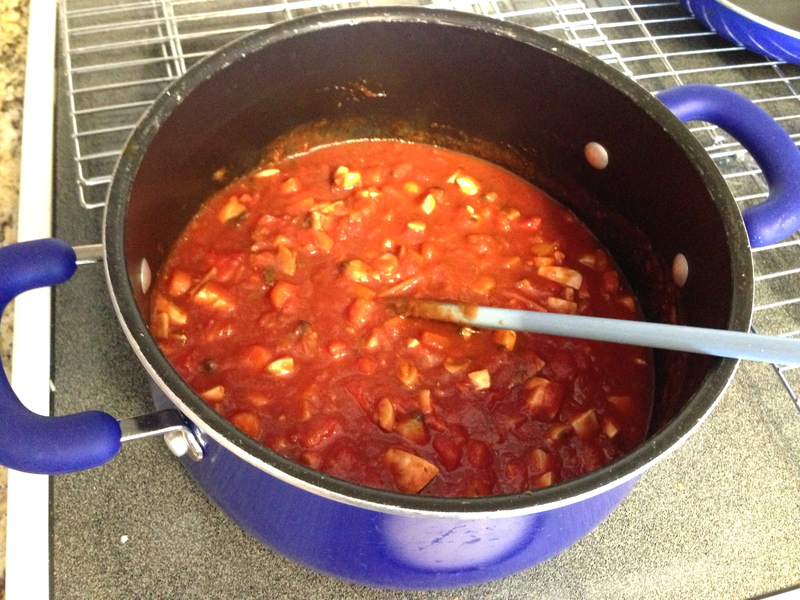 The recipe I started with was for White Beans with Prosciutto and Tomato Sauce, but what I ended up with was quite different. 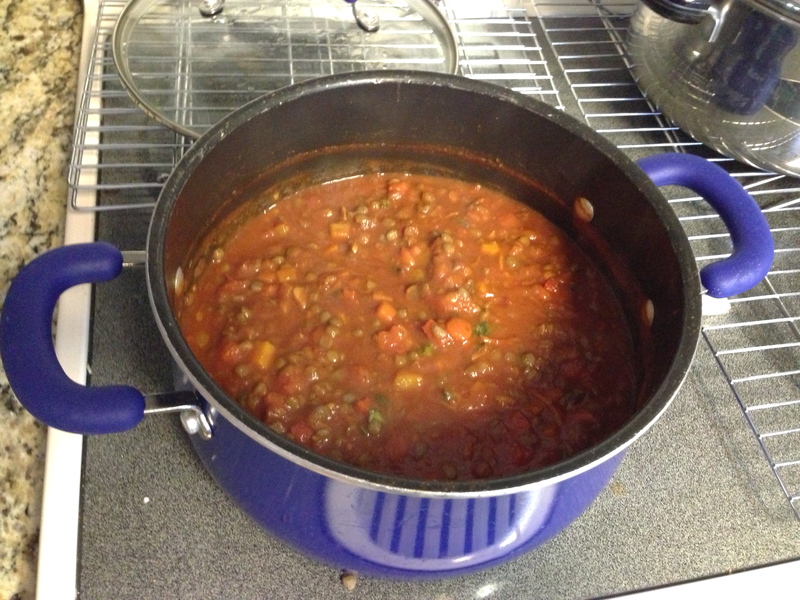 I hope you like it.I think this chili would go great in tacos so stay tuned for a future post! 🙂 It would also go very nicely in a taco salad. 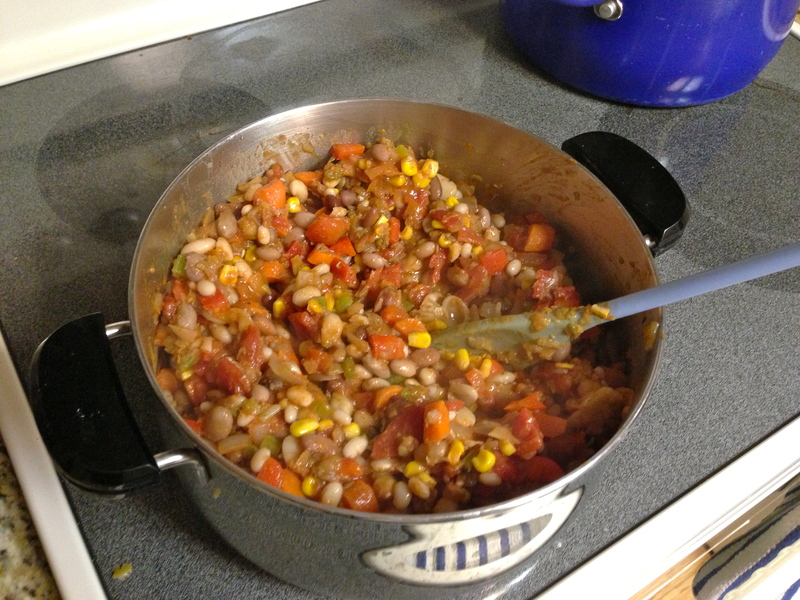 These are the beans I found at the grocery store that inspired this recipe. 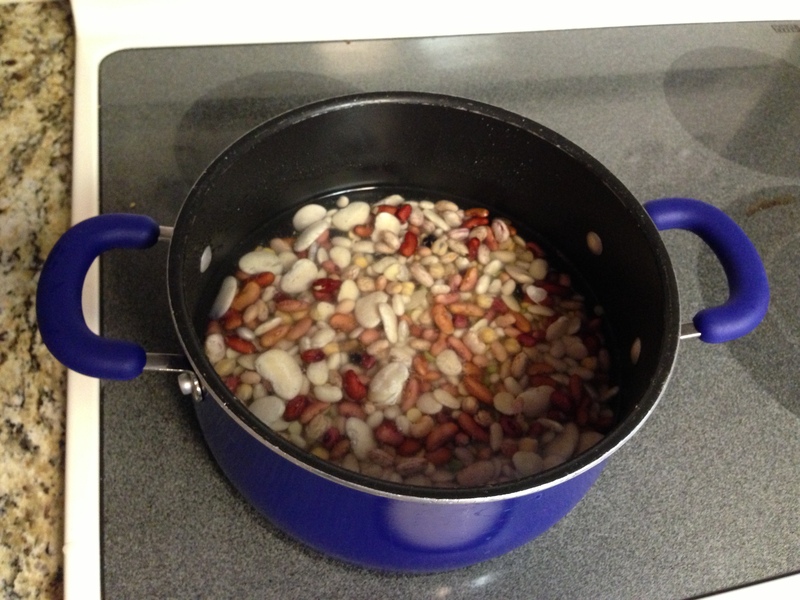 Place the beans in a large pot and cover with water. 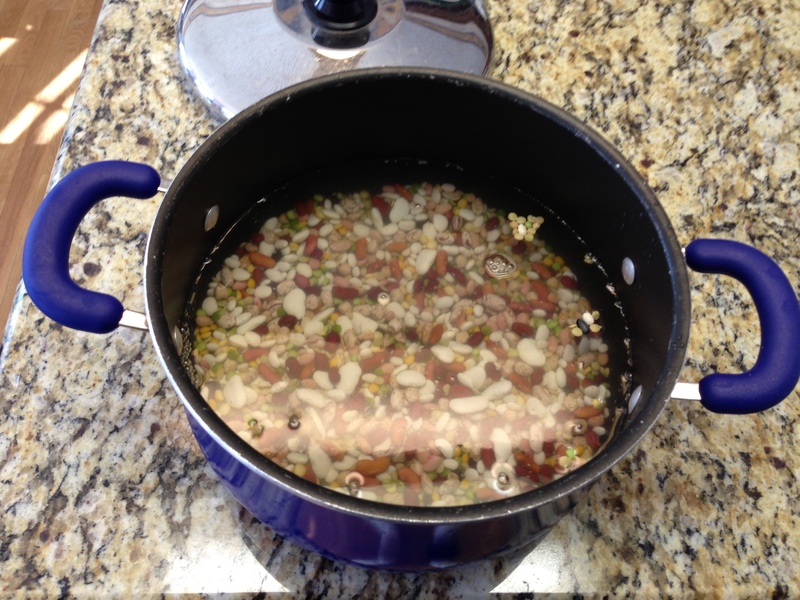 Bring to a boil on medium until beans are soft – 30-45 minutes. 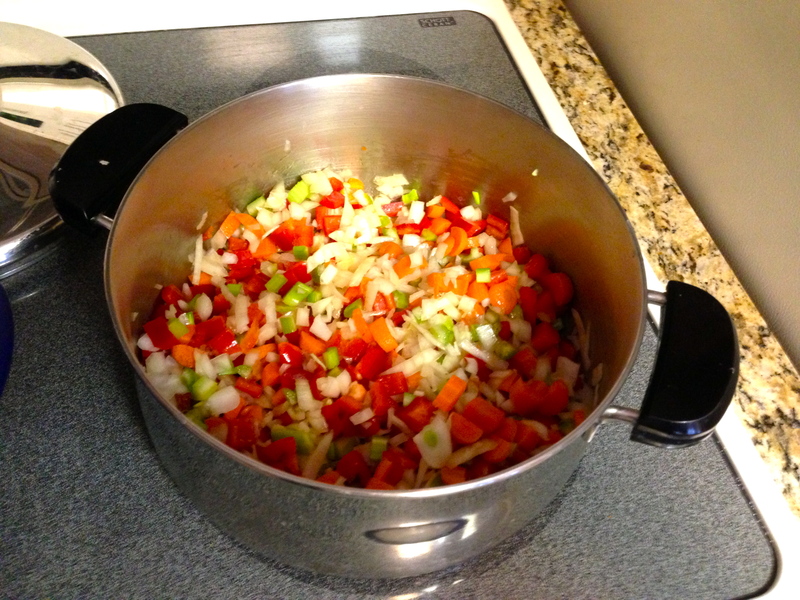 In a separate pot cook the onions, garlic, celery, carrots, peppers in olive oil over medium heat until they are softened. 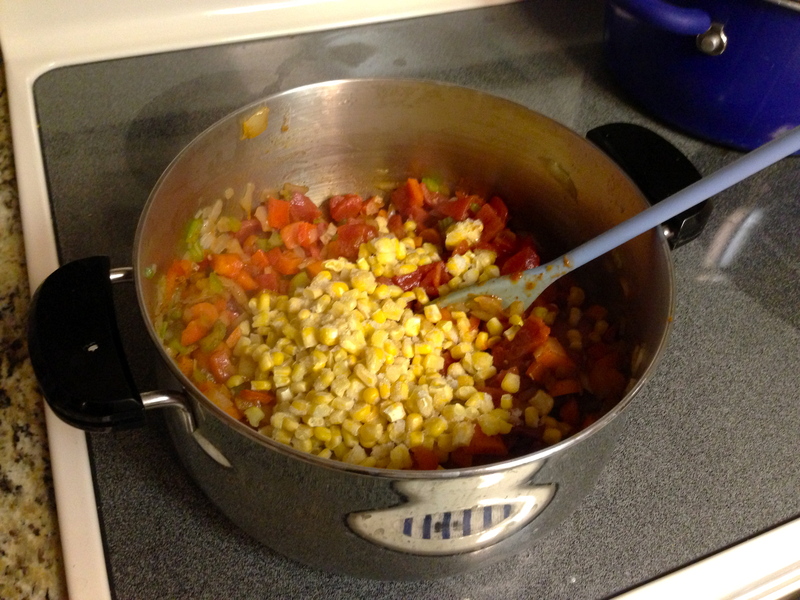 Add tomatoes, tomato paste, corn, water, chili powder, cumin, oregano and cayenne pepper.Mix together and bring to a boil. Drain and rinse the beans, and add them to the vegetables. 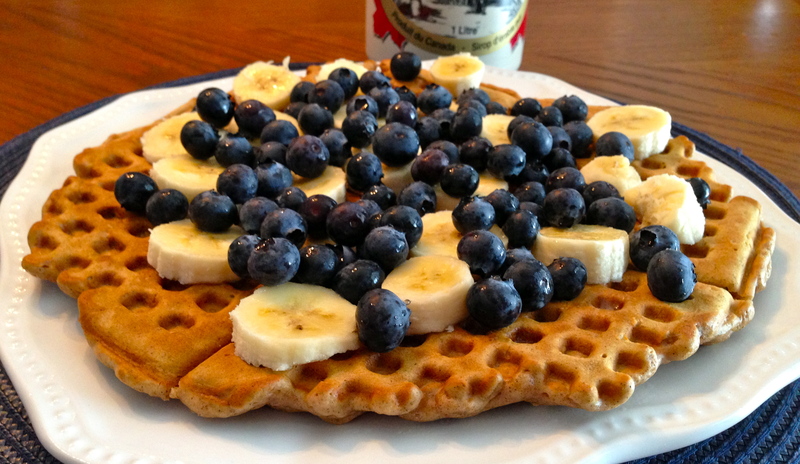 Serve with your favorite toppings, on it’s own, or in tacos or a taco salad!